The number of Zika virus cases has touched 60 in India, with more people being diagnosed with the infection, health officials said Monday. “Some 60 people have so far tested positive for Zika and all are from the western Indian state of Rajasthan’s capital Jaipur. Some of these victims are migrant workers from eastern states like Bihar,” a senior health official said. Meanwhile, Rajasthan’s top health official Veenu Gupta told the media that while 45 of the 60 infected patients have fully recovered, 15 others are still under observation. “Fogging and anti- larvae activities have been intensified in the city,” she added. A control room has already been activated at National Centre for Disease Control to undertake regular monitoring of the situation, according to the Indian Health Ministry. 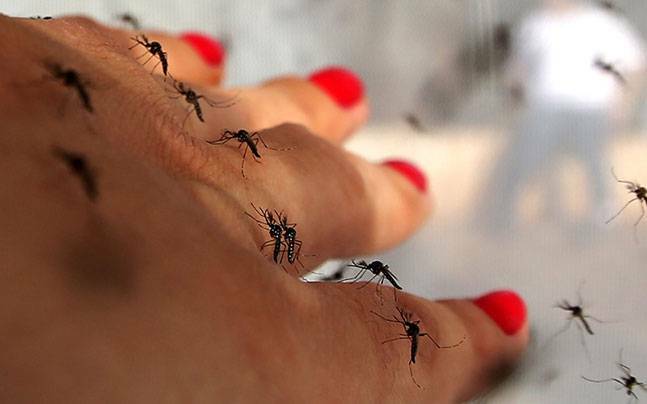 Zika virus disease is spread by daytime-active Aedes mosquitoes. Its symptoms include fever, skin rashes, conjunctivitis, muscle and joint pain, and headache. This is the third Zika virus outbreak in India since January 2017. The first outbreak of Zika was reported in India in January 2017 in the western state of Gujarat, while the second outbreak was reported in the southern state of Tamil Nadu in July 2017. Both these outbreaks were contained.